I received this email from a good friend. Reading this could save a life. With this valuable information readily available, emergency personnel can swiftly find the number and use it to reach a relative or friend who could help treat injured victims by providing personal information, including details about medical conditions. 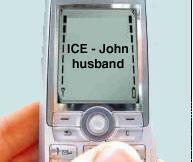 In extreme circumstances ICE contacts can help with identifying deceased victims. British paramedic Bob Britchie is credited with creating ICE after reflecting on difficulties he has experienced on the job while trying to obtain information about the injured. The vast majority of people do not carry emergency contact information or next of kin information, but the vast majority of people do carry cell phones. Paramedics can search for ICE contacts and get the much needed information faster than looking for contacts or trying random names. 1. Talk with the potential ICE contact to make them aware that they will be listed. 2. Give the ICE contact your full name, date of birth, address, blood type, medical conditions, allergies, surgery history, etc. Please keep in mind that ICE is not fool proof. If you lock your phone out or the phone is damaged during the incident or accident, it will not work. With this in mind you should have your emergency contact information somewhere else such as in your wallet, briefcase or in the glove compartment of your car. ICE could be a lifesaver; these three letters can expedite treatment and help people at the earliest opportunity. They're exploring the deep sea and distant planets. They're saving lives in the operating room and on the battlefield. They're transforming factory floors and filmmaking. They're - oh c'mon, they're just plain cool! From Qrio to the Terminator, here are our absolute favorites (at least for now). I just came across this nifty little tool that's packed full of informational recsources for career professionals and business owners. This is definitely worth checking out. It seems to be updated with new resources pretty regularly. In adition to a cool pop blocker, it can be customized with other features, like adding radio stations to make your day go smoother. 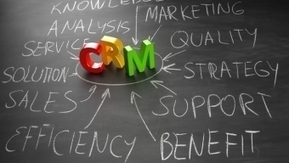 Customer relationship management (CRM) is crucial to maintaining and expanding business market share. A help desk is the lifeline between a business and their customers in developing quality CRM. Hiring a business analyst will ensure a successful implementation of your helpdesk. They can help sift through the plethora of help desk hardware requirements and software applications and negotiate with vendors for solutions which provide the biggest bang for the budget. A business analyst will also provide a long-term strategic solution, in addition to a project plan for helpdesk implementation. Help desk applications can reduce call center business expenses by 20 percent or more. Primary cost savings are seen from help desk automation of company workflow. Active trouble tickets are easier to enter with the new help desk software. Tickets are automatically routed to the appropriate support agent. Assigned workflow frees up customer support agents and customer calls are answered more quickly. Today's help desk applications can resolve 80 percent of support or service calls in under one minute. A reliable help desk solution is a fundamental core of successful customer relationship management. Selecting the right help desk and support tracking software is critical. The right solution will save a call center multi-thousands of dollars in customer support costs, function for years to come, and provide your business with cutting edge CRM software for obtaining and retaining customers. A call center help desk system organizes reports on, and manages customer service and support issues. The help desk is an integral part of customer service since it brings all of a business's resources together to address a customer need. Help desk users may be internal or external. Therefore the software functions are critical for both internal management and superior customer support. What are the Functions of a Help Desk Application? Advanced helpdesk technology allows support departments to record, track and resolve support requests in a controlled environment. Web based help desk solutions enhance the eCommerce and provide after sale support. The software records all actions in the sales and support process. A software knowledge base exists for past calls/ web contacts providing historical customer data for improved future CRM. Audit trails can be visibly documented on all issues and contacts. The system identifies support/ service issue trends and improves customer contact re. services and products. A logging system containing all support requests, enabling management to review employee help desks performance in managing customer care. Help Desk software solutions can be deployed on either client networks, client/server systems or a remote web host. Thorough project documentation with customization needs will ensure a smooth launch of your new help desk system. Outline all customized functions such as the defining of user screen elements and call center agent workflow distribution.